The Self Control Thumball helps break the ice and spark discussion among children and teens about self-control and how to use it socially. Children can open up and discuss self-control and how it relates to them. Smaller sized 4" ball. Topics include recognizing what is and isn't a big deal, self-calming, understanding healthy and unhealthy thoughts, avoiding overreacting to situations, and more. 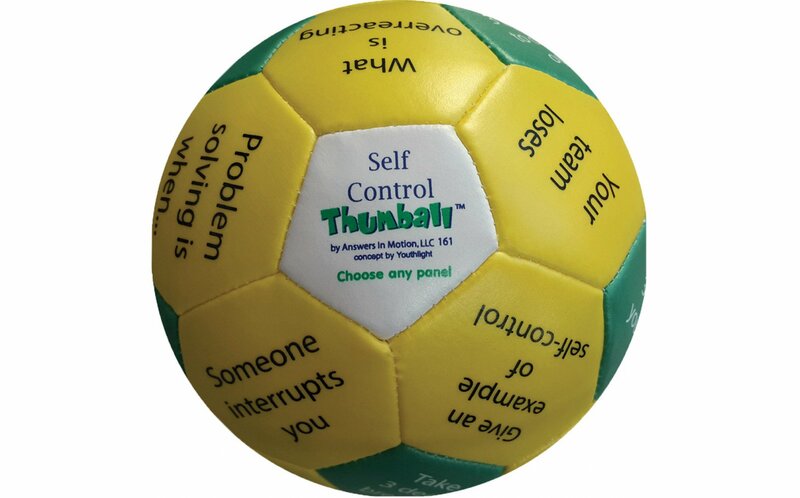 Throw the ball, catch it, and respond to the prompt under your thumb, Thumball is a great, exciting activity for group or individual counseling.